Whether you are an advanced geocacher or just starting out, one of the most important parts to hiding caches are the cache containers they are in. If you’re hiding a micro, regular, or large cache, you need to pick a geocache storage container that is going to keep everything dry and safe from the elements. 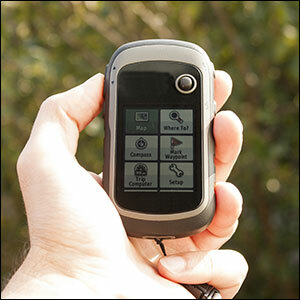 Because caches are hidden outside, temperature and climate play a huge role. Picking a geocache container that can stand up to harsh conditions will ensure that you get a first to find and many more to come. Here are some of the top storage containers for hiding geocaches. Hide micro and small caches, the Military Secret Stash Box. 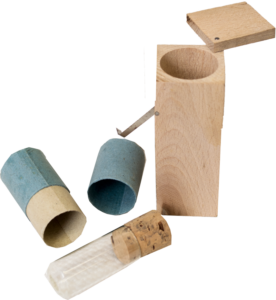 The water resistant glass vial slides into the 4” wooden box with a trap door closure on the top, keeping your swag, logbook, and pencil safe from its surroundings. This geocaching container is ideal for hiding lamp post caches, hanging on trees, or sticking to the bottom of a bench. 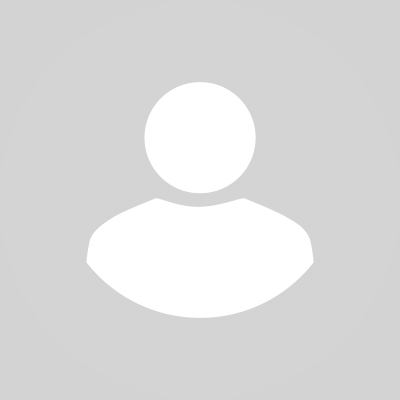 Paint the secret stash box to blend in with its location, increasing the difficulty rating of your cache. The secret stash box comes in a two pack, perfect for multi-cache hints and decoys. When you’re ready to hide larger swag like books, DVDs, and other objects that are too big for a small container, use a USGI Small Utility Box. It’s big enough to fit a standard size caching journal and logbook for cachers to give feedback on your swag, hiding place, and GPS coordinates. The small utility box is made of heavy-duty plastic with a foam cushion insert to help keep breakables unscathed. This is especially important when muggles unknowingly stumble upon your swag. It also features a double latch closure in case animals get too curious. The small utility box allows you to get creative by creating a spy briefcase, military tactical swag, or even a geocache puzzle box. 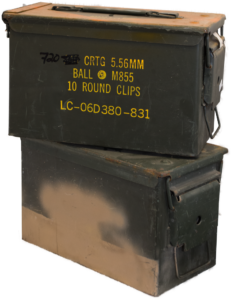 When your swag is too big for a regular cache container, try a 50 Cal Ammo Box. It’s the perfect size for extra large swag and elaborate cache displays full of goodies. The ammo box is airtight and completely waterproof, keeping everything dry. It’s one of the best containers to use for geocaching not only because it’s waterproof but it can also withstand very high temperatures. The ammo can is considered the “daddy of all cache containers” because of its durability and the vintage military look. Fill your military ammo can with nerf gun swag and a large supply of darts for an impromptu battle for cachers. Coleman’s Military Surplus has a huge selection of military storage containers that are perfect for hiding a variety of caches in all shapes and sizes. All of our storage containers are military grade and are built to withstand the elements of nature, keeping your swag safe all year round.